From bariatric patients to patients who are bed-ridden following surgery, there are many reasons you may require stretcher transportation. There is a large need for stretcher patient transport, although there are certain things to look out for to ensure you are getting the highest level of care. Door-through-door transportation is incredibly important when it comes to safe stretcher patient transport. After all, if a patient is bed-ridden, how are they supposed to get out of their house and out onto the street to be picked up? Quite simply, they cannot. Door-through-door transportation includes a driver coming into your home, moving you onto a transport stretcher and then carrying you out of the home or hospital and into the vehicle. This same process is repeated at your point of destination, and when you return. You don’t want just anyone carrying you on a stretcher. It’s important that they know what they are doing to keep you safe and comfortable. You should always ask about the qualifications of drivers and how they plan to get the job done right. How many drivers can they send out at once? In some cases, patients may require as many as 5 drivers and medical personal on site. Can you request an EMT certified driver? This may be an important factor for someone who is in a critical health condition or at a greater risk for heart attack or some other issue that would require medical personnel on site. Always look into the safety and quality of vehicles used to transport patients to determine if it’s the right option. Seek out companies using newer model vehicles that undergo weekly inspections and detailing. Vehicles should be fully loaded to accommodate stretchers in the safest manner possible. A clean vehicle is equally important, as a dirty environment could make a sick patient even sicker, or a healthy patient sick. Asking to check out vehicles ahead of planning your trip is not a crazy request. In fact, any reputable company will be more than happy to show off their fleet. If you’re the one in the stretcher, this might be a tricky task to arrange, so perhaps have a family member check it out ahead of time for you. Make sure that the company you select specializes in stretcher transportation and has the proper equipment on hand to handle your requests. They should ask about patient weight to ensure they have the right team on staff, as well as the right equipment for the job. We rely on Stryker and Ferno brand stretchers; this is the same equipment utilized by the Brevard County Fire Department Services. Does Stretcher Transportation Cost More? 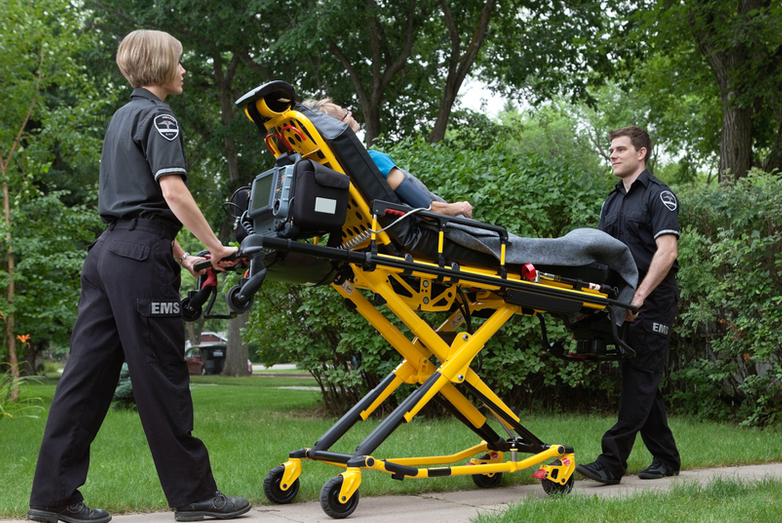 For the most part, stretcher transportation will cost more than other types of transportation simply because it requires additional staff and equipment to get the job done safely. The most affordable non-emergency medical transportation is for people who can walk, followed by wheelchair patients under 299 pounds. The weight of a patient plays a factor in total costs for stretcher transportation. Patients weighing over 300 pounds and confined to a stretcher require additional people to transport. Therefore, the cost per trip increases to cover the extra manpower needed. You may qualify for discounts if you require multiple trips per week.